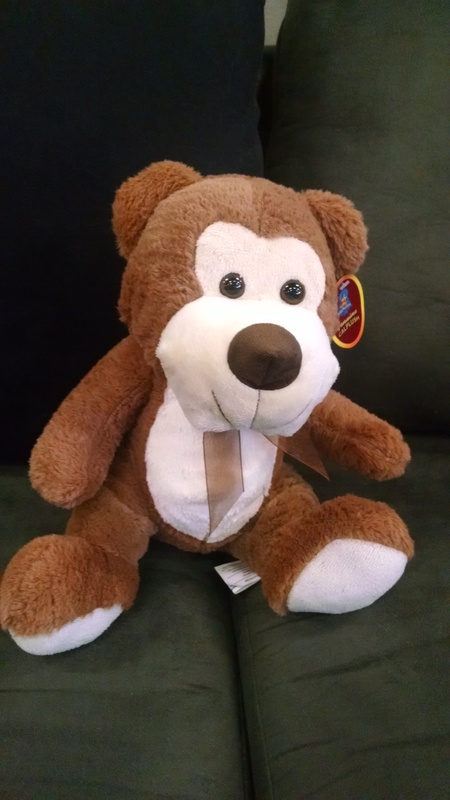 Send someone you love and care about a care package. 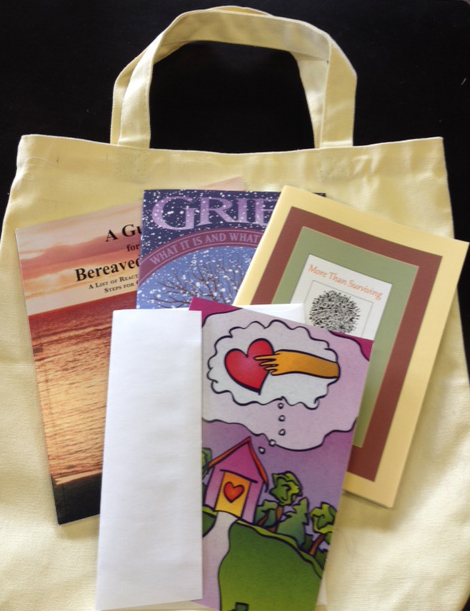 They include comforting and supportive books, a book bag and sympathy card. Includes the books Dear Parents, For Better or Worse, Children Die, Too and Goodbye My Child. 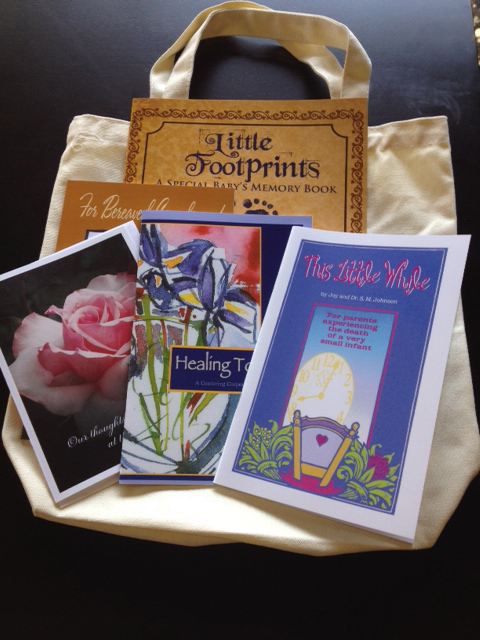 The books come in a nice canvas book bag and includes a caring card for you to sign. 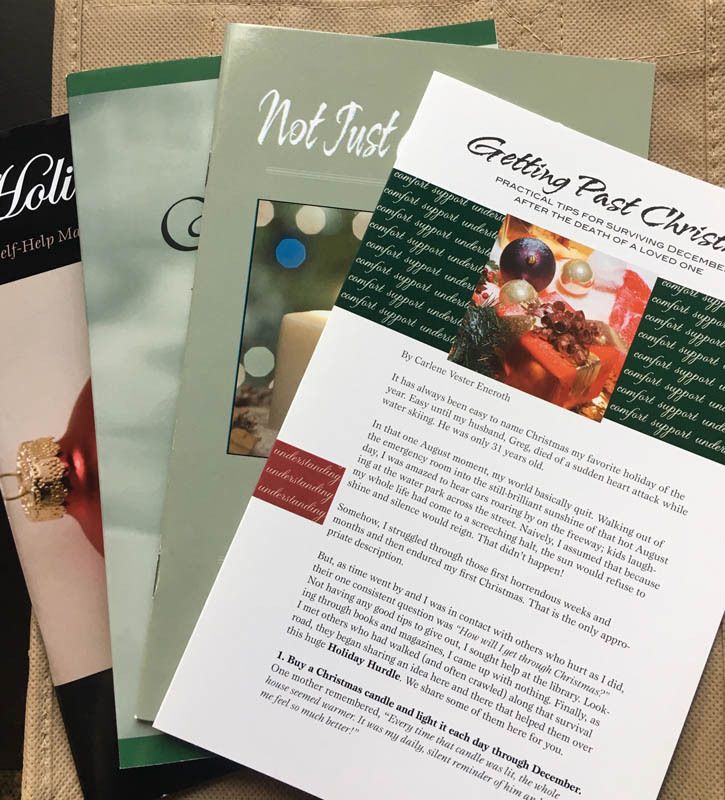 Includes these books/handout: Holiday Blues, Not Just Another Day, When the Holidays Hurt, and Getting Past Christmas. Also includes Because We Care... book bag and a caring card, which you can sign. 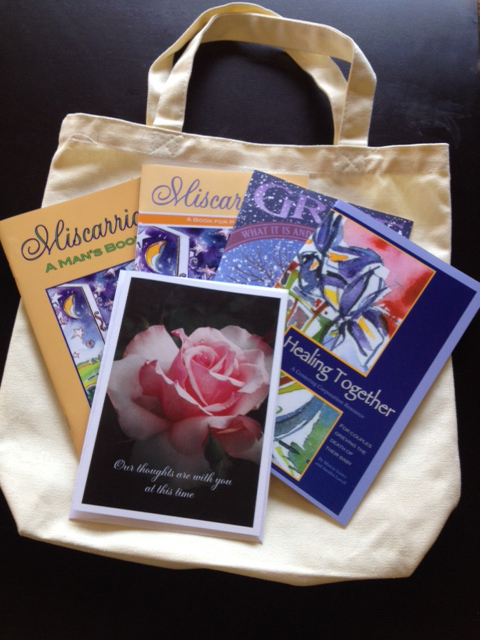 Includes these books: Miscarriage, Miscarriage: A Man’s Book, Healing Together, Grief: What It Is and What You Can Do. Also includes a book bag and caring card for you to sign. 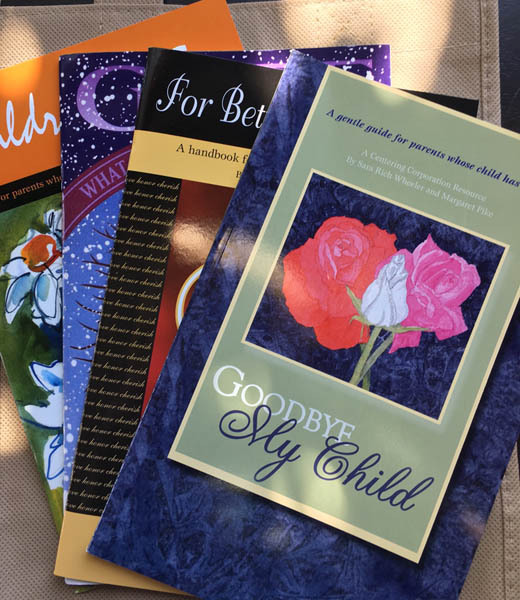 Includes the books Dear Parents, For Better or Worse, Children Die, Too and Goodbye My Child. 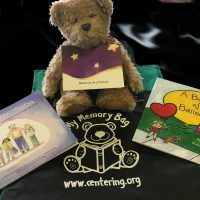 The books come in a nice canvas Because We Care... book bag and includes a caring card, which you can sign. 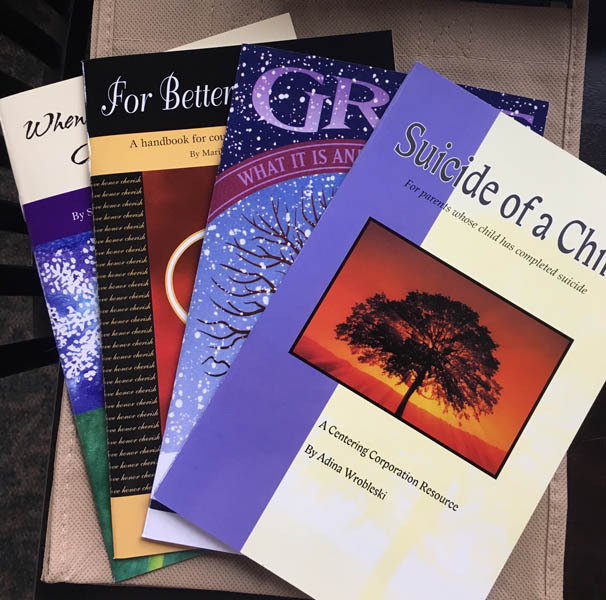 Includes these books: When Someone You Love Completes Suicide, Suicide of a Child, Grief: What It Is and What You Can Do, and For Better or Worse. Also includes a book bag and caring card for you to sign. 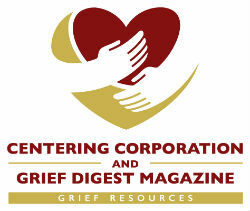 Includes these books: Miscarriage, Miscarriage: A Man’s Book, Healing Together and Grief: What It Is and What You Can Do. Also includes Because We Care... book bag and a caring card, which you can sign. 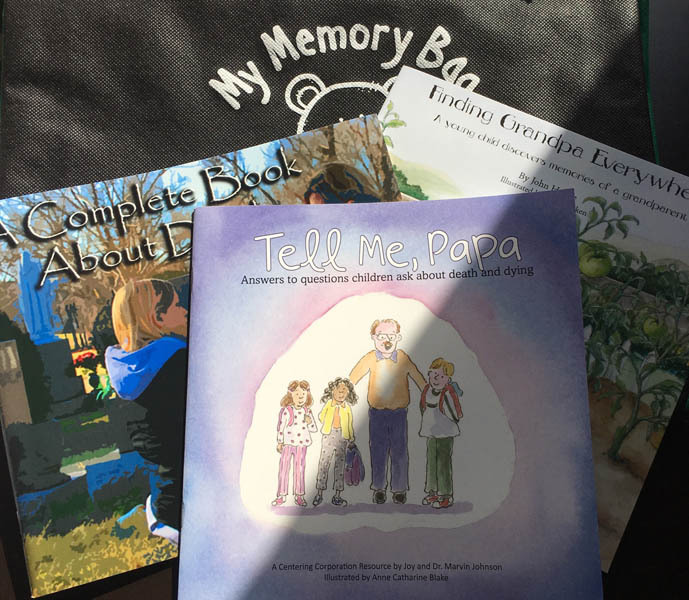 Include these books: Little Footprints, This Little While, Healing Together, and For Bereaved Grandparents. Also includes Because We Care... book bag and a caring card, which you can sign. This sturdy tote contains a star-shaped stress ball and the following books: A Bunch of Balloons, Tell Me, Papa and A Complete Book About Death for Kids. The child could be encouraged to add their own special things to complete this memory bag. Ideas: clothing, pictures, photos, cards and other keepsakes. Includes sling bag and the books Fire In My Heart, Ice in My Veins journal, Facing Change and When Death Walks In. Also includes a caring card for you to sign. The teen could be encouraged to add their own special things to complete this memory bag. Ideas: clothing, pictures, photos, cards and other keepsakes. 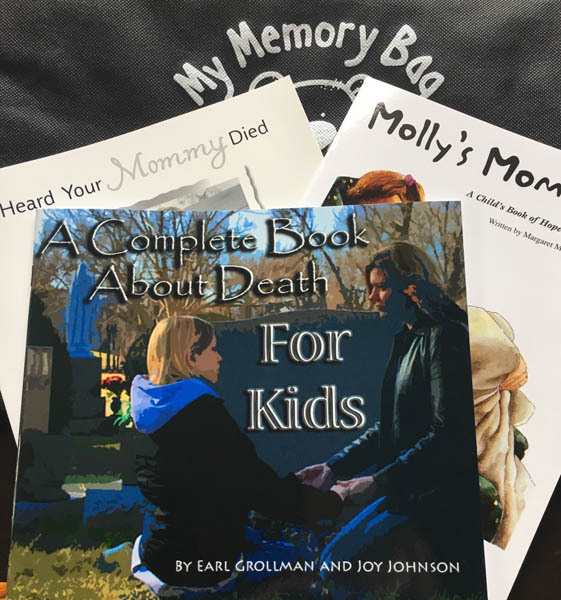 Includes the books: Molly’s Mom Died, I Heard Your Mommy Died and A Complete Book About Death for Kids. Also includes a caring card for you to sign, stress star and a memory bag they can fill with special mementos. 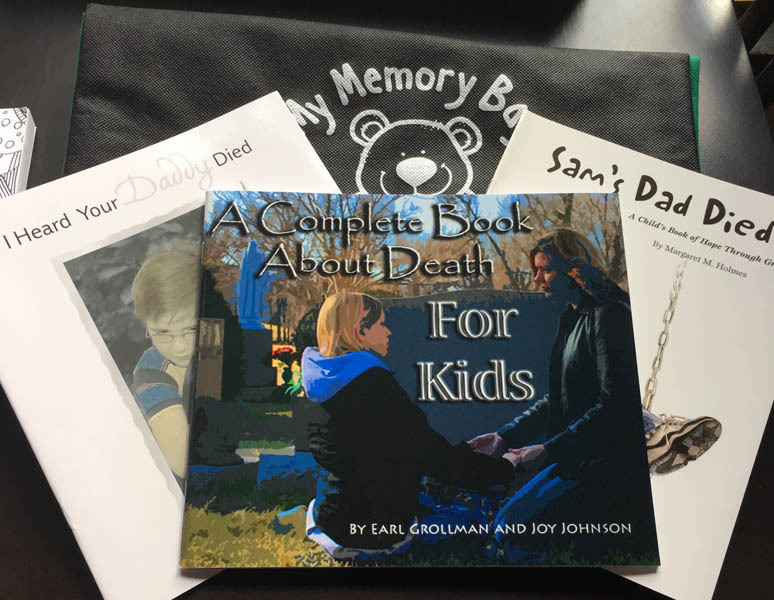 Includes the books Sam’s Dad Died, I Heard Your Daddy Died and A Complete Book About Death for Kids. Also includes a caring card for you to sign, a stress star and a memory bag they can fill with special mementos. Includes the books: Finding Grandpa Everywhere, Tell Me, Papa and Animal Crackers. Also includes a caring card for you to sign, stress star and a memory bag they can fill with special mementos. 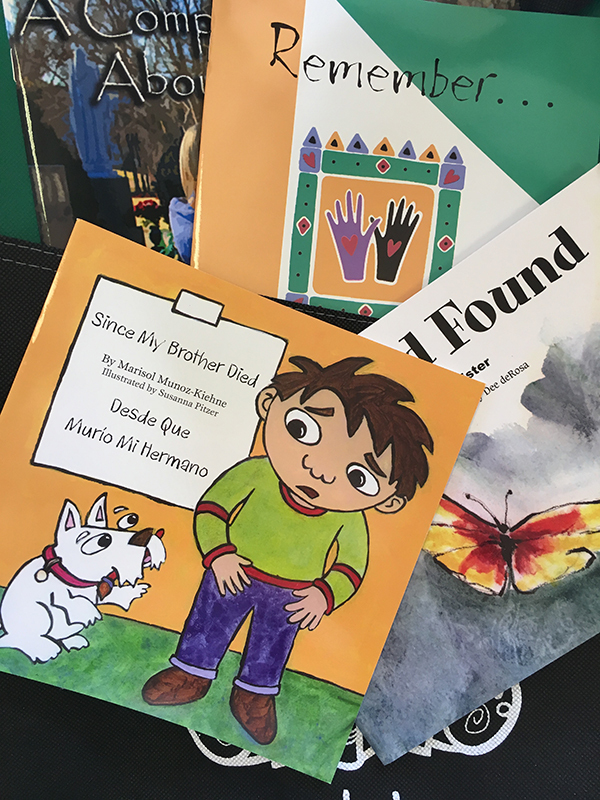 Includes the books Since My Brother Died, A Complete Book About Death for Kids and Remember...A Child Remembers and Lost and Found. The child could be encouraged to add their own special things to complete this memory bag. Ideas: clothing, pictures, photos, cards and other keepsakes. 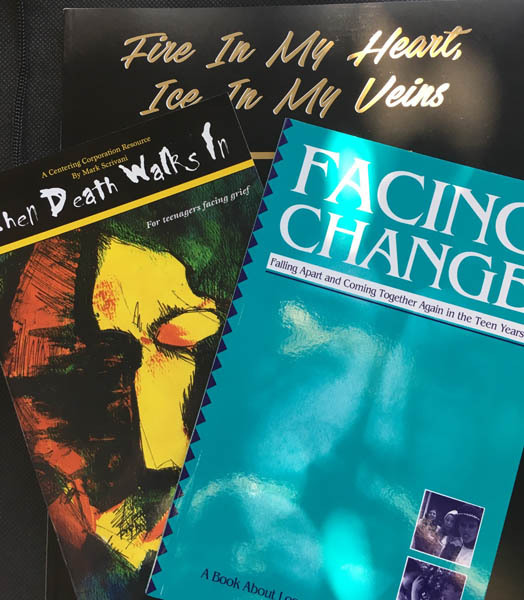 Includes these books: When Someone You Love Completes Suicide, Suicide of a Child, Grief: What It Is and What You Can Do, and For Better or Worse. Also includes Because We Care... book bag and a caring card, which you can sign.